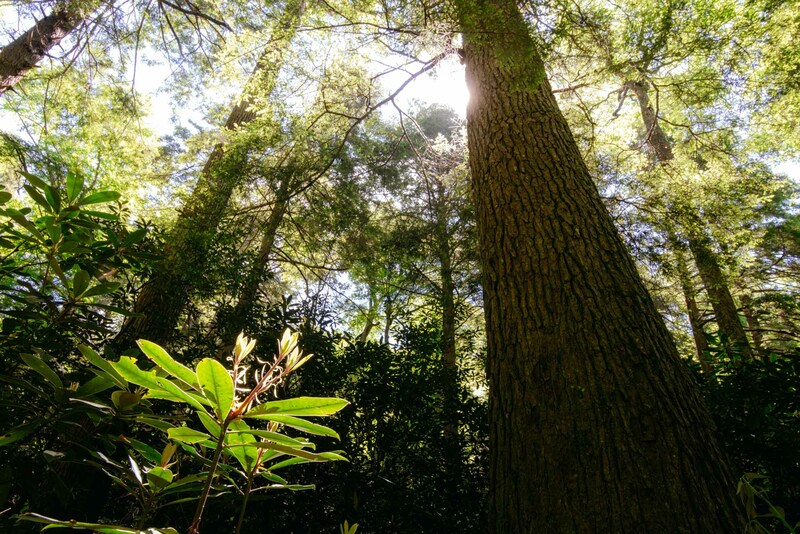 Exceptionally long-lived, the Eastern Hemlock has long been the symbol of the deep, dark old growth forests of the Appalachians. With the arrival of the wooly adelgid - an introduced pest - in the early 2000s, whole groves of the tree began to disappear. An ongoing Forest Service survey of Eastern Hemlock turned to documenting only the greatest of them. Starting in 2006, The Tsuga Search Project identified 75 "superlative" individuals over 160 feet tall or exceeding 1000 cu ft of wood volume. One of those, the Cheoah, was treated with an experimental insecticide along with 12 of its smaller neighbors. Today the Cheoah is the last living tree from that study. Shown is the second-largest tree in that last grove, now protected - and monitored - by the Highlands-Cashiers Land Trust.